You are here: Home / Parenting / Guest Post: Why…Why…Why…Why? The following article is a guest post from my good friend Chris from TheMomCafe. Coincidentally, her son sounds a lot like my Biz. When you’re done reading, head on over to read more of her posts at TheMomCafe. My son has this way of wondering why. He will ask question after question regarding any situation that arises. Constant curiosity. It’s a beautiful thing, right? Not so much. Especially when I am trying to get things done or in a conversation with someone or moving him along to leave the house or trying to stay focused on the task at hand. Then, I throw the mighty hand of IMPATIENCE and the blow of “Would you PLEASE STOP asking!! !” In which case he usually continues his interrogation and interruptions with an even more intense need to solve the mysteries of it all. He wants to understand. He yearns to learn all there is about life. He searches through all the pieces and parts of the puzzle. He wants to know. His questions truly amaze me and sometimes stump me. I love that he is so smart and excited to comprehend all this world has to offer. His desire to discuss intricate details of his grandpa’s open-heart surgery went into days of deliberation. His questions about cancer and world peace and big issues like marriage and bullying consume his days. And often I answer the inquiries as best I can. But other times…it simply drives me NUTS. I feel awful when I have to shut him up, because once he gets going on his seeking of greater knowledge journey…I am forced to stop my world and focus on him. I am ashamed to share; all too often…I simply don’t have the time or the energy to… well… parent. I absolutely LOVE that my beloved little boy wants to learn. So how can I say I don’t have time for it? How? We can be late. I can stop scurrying. I can stop cleaning and working and hurrying. I can stop looking at my list or running through the store. I can get off the phone; stop the need to do more. I can focus my own unraveling mind. And realize I have him for a short time. I can take a deep breath and look in his eyes. I can show him he’s worth it, and me too realize…. He’s discovering life and all it can be. How dare I forget what’s given to me. This gift, this love, this glorious boy. I will teach him and guide him and do it with joy. What on earth could be more important than this? Chris Carter is a SAHM of two pretty amazing grade school kids. She has been writing at TheMomCafe.com for over two years. She started her blog in hopes to encourage mothers through her writing with humor, faith and inspiration. Oh so well said! Thank you for the reminder! I know I need to be more patient sometimes and just stop what I am doing…and I’m going to do just that the next time it happens! Oh good for YOU Michelle!!! It is just so hard isn’t it? When you are ‘in the moment’ of scurrying or trying to do things that matter, you don’t realize that his questions and your answers matter most. Chris Carter recently posted..Why? Why? Why? AW! Thanks so much Ilene! It truly is an honor to have that responsibility and oh how many times I forget! Seriously, when I do think about it- there is truly nothing more important than this. Conviction sets in… priorities shift… I must do better at this. Always a work in progress. there weren’t enough hours in the day to give the attention needed to my five. Ahem…FIVE?!!! Did you say FIVE??!! God bless you mama!! There’s not enough hours in a day for my two, let alone five! 🙂 It is a constant battle…but I truly need to realize what matters most in those hours I do have. Thanks so much for sharing Jen! Oh, I love this. It is so hard to be pulled in many directions and feel rushed – but, like you say, what is more important in the long run? Thank you for this lovely reminder. Thanks so much Kim!! It’s so easy to realize what matters most- and yet, when we are flying through our day and miss those moments… we’re missing out on the big stuff just doing all the little stuff. I hate to think I will be looking back at this season with remorse for accomplishing the little things and not focusing on the truly significant ‘mom moments’. I agree with your feelings completely…it’s so hard to just stop long enough to teach them. Cleaning and cooking and work and blogging scream so much louder. Great post! Julie Chenell DeNeen recently posted..What Motivates You to Write? Thanks Julie!! Yeah…the paradox of writing about motherhood and neglecting the very mission so I can write… twisted priorities can lead to missing out on those moments that matter most. And when I think about it, cleaning and cooking and writing and working- are so fleeting. The values and education I give my child are forever. Those “mommy guilts” are awful! Thank you for that beautiful reminder that nothing is more important than those precious gifts that God has so graciously blessed us with! Amen Marcia!!! How often I need this reminder! What is more important than this? Certainly all the cleaning and working and “to do”s are fleeting… but our children are forever… and they need us now. Isn’t it so hard when you are “in it” and they continue to peck at you like a wild bird? I have those convicting moments that scream ‘STOP’ and pay attention to your child!!! I realize those moments are self consumed…all about me…not them at all. I need to change that. STAT. Amen sister. Nothing could be more important, despite the hurry, scurry and crazy pace in which we all live. We want the questions to come. We pray they keep coming as they get older. May God help us to always be there for our kids when they need us. Absolutely Lee Ann! We need to constantly be reminded that there is truly nothing more important than raising our children. Oh how I pray they still ask as they get older!!! Wow. I absolutely needed this, because The Boy is SUCH a questioner. Usually it doesn’t bother me but once I hit the wall (whether it’s been a long day or I’m tired or just overwhelmed) I DO rely on that old standby: “Go ask your father.” What an opportunity I’m missing when I do that … to sit down, to wonder with my boy, and to see the world through his eyes. Thank you, darlin, for showing me the light! But wait. YOU”RE the light!!! 😉 I have often used that one too! But mostly I just say “ENOUGH ALREADY”. Today after school he had four thousand questions about a friend of ours who’s mom had two seizures. I stopped the car in the garage and turned around and answered and clarified every single concern and stayed in it with him until he understood everything and was satisfied. It was just lovely!! Must. Do. That. More. Often. Oh, yes. Absolutely. I totally remember all of those “why” questions. SO funny Lisa!!! My nine-year old is getting that way now… HA! I’m such a blabber at times when it’s really not needed. And THEN…when it is, I’m all “I don’t have time FOR THIS!! !” Go figure. Such is life, right? My older son went through that phase, I Googled everything he wanted to know and read it to him. Thankfully my younger son doesn’t care to know about anything lol. “What on earth could be more important than this? Absolutely nothing.” This pretty much sums it up. Between my 3 and 6yo, I answer a million questions a day…often at the same time; yet there seems to be an unending stream of questions. I too get frustrated, but your poem (such talent) is an important reminder that there are so many ways we say to our children that we don’t have time (without saying a word). Thank. you. Hope recently posted..How to Remove a Security Ink Tag. Why? Because I’ve realized NONE of THAT will I remember. SO, I do enough of the ‘small things’ to get by and the rest I’ve let go so I can enjoy this moment in time. This change of priority, this shift of perspective, was NOT easy or over night for me because the transition couldn’t happen until I truly could let go of my own desires and need for ‘control’ but still have PEACE. Oh goodness yes! I absolutely adore my son’s curiosity and love that he wants to know and understand the world but really, sometimes I do just want the questions to stop! Or at least at least for there to be a momentary break in the line of questioning. I do get frustrated and I don’t give them the proper attention. But it IS a privilege and I know that I need to do a better job of being present. Oh I hear ya!! Oh do I hear ya. Just a break would be nice, wouldn’t it? And does your son just push harder if you ignore him or you are busy doing something and say “hold on to that thought” or “wait, I can’t answer that now” etc etc etc? Mine gets louder and shoots more questions with an urgency similar to yelling “THE HOUSE IS ON FIRE!” The kid wants to KNOW. It’s exhausting. But just so incredible… and it’s our job to teach them. Beautiful reminders of what I CAN do instead of breathing out heavy sighs over what I have to do. I know the time is short, yet why do I have to be so impatient or feel inconvenienced at times? These are my beautiful children who I treasure! I honestly wish God would work on transforming me in certain areas just a wee bit faster….like before they turn 18 and it’s too late?! Thank you for this encouraging post to take an attitude check…that is something I not only can do but will do! Oh we are SO in this boat together sister!!! It is a relief to know that other moms struggle with this too. I wish God would speed up MY transformation too!!! What’s with that?! 😉 Seriously though, it is truly up to us to transform and control our reactions and get our priorities straight. Lets encourage each other on the way!! Awesome Chris…what a beautiful poem!! Thanks so much for reminding us all that we can easily get so wrapped up in our day to day doings, we neglect the most important role…mothering! God gave us our beautiful children to nurture and groom…what a heavy responsibility, yet a rewarding one at that!! 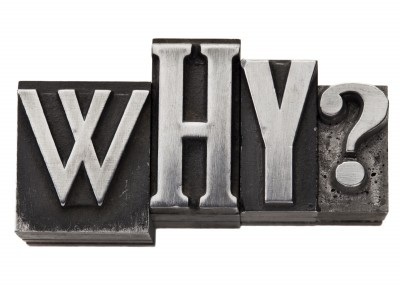 I can so relate to the why, why, why?! Our oldest son was definitely the MOST inquisitive child EVER…thank God we made it through, lol! Thanks for dropping by and linking up my friend…have a wonderful weekend Chris!! Michell recently posted..It’s my SITS Day…YAYY!! Bravo! I was just talking with a co-worker that this time will fly by all to quickly and it’s these moments that we will cherish, and help shape who our little ones will become! Love this, so true, and that you did it in a poem! We have those sweet little faces for just a short while before they grow up and out, enjoy every moment. They will always remember the love and attention they receive. Oh man! I needed to hear that! Thank you. I know, right? Chris is great!